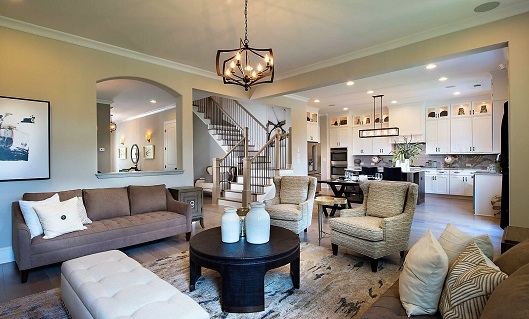 Idylwilde offers a variety of home designs that allow homebuyers to Make Space for Life with ranch and two-story, main-level living options available. Designs, ranging from 1,900 to 4,000 square feet of thoughtfully designed living space, will also feature front- and rear-entry designs. 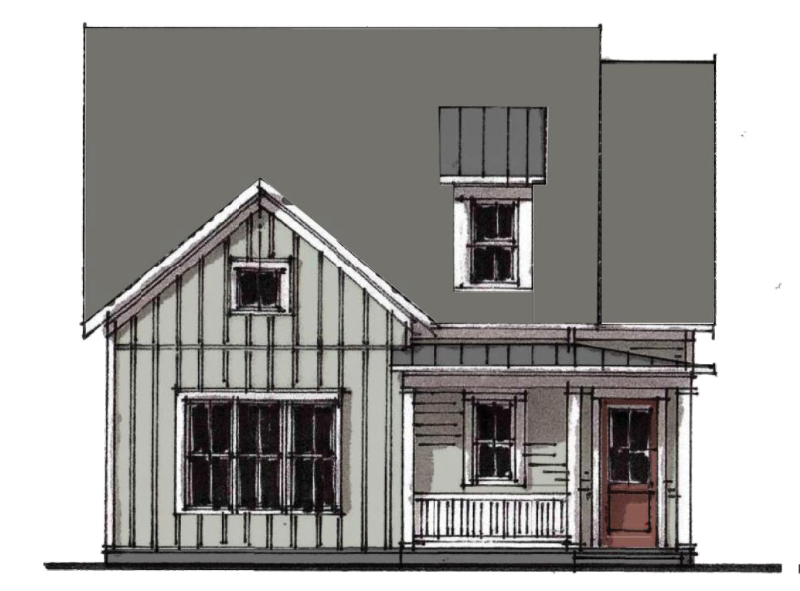 Homesite 61, projected to be available to close by June 30, 2019, features the Trevor home design with 2,825 square feet of thoughtfully designed living space with three bedrooms, three-and-a-half baths and a two-car garage. The main level boasts a number of conveniences that include a mudroom off the garage, a gourmet kitchen with oversized island overlooking the family room with fireplace and built-ins, a covered front porch, a private covered courtyard porch and luxurious owner’s suite with massive walk-in closet and impressive bath featuring dual vanities, a private water closet and separate shower with frameless entry. This home is filled with luxury appointments throughout that include 10-foot ceilings, 8-foot doors on the main, hardwood flooring, Cambria countertops, stacked-to-ceiling cabinets and upgraded laundry room with cabinets and a utility sink. This ranch home offers the perfect split design with plenty of storage space, loft space and an additional bedroom with full bath on the upper level. This home is currently priced at $426,108 with additional incentives available for a limited time. Idylwilde is perfectly situated in Hickory Flat, offering a quiet escape from the everyday without sacrificing convenience to the things that matter most. Community amenities include a clubhouse, pool, greenspace, walking trails and pocket parks and community ponds throughout. To learn more about Idylwilde, visit www.TheProvidenceGroup.com/Idylwilde. To schedule a VIP appointment or to learn more about available incentives, call or text the New Home Navigator at 678-472-0411 or visit www.TheProvidenceGroup.com/New-Home-Navigator.